Planning is underway for a makeover of the downtown Riverfront Plaza, the recreational space along the levee directly across from the Raising Cane’s River Center. The renovation will include new decorative and security lighting, landscaping and the installation of a sound system for the small, underutilized amphitheater in the plaza. 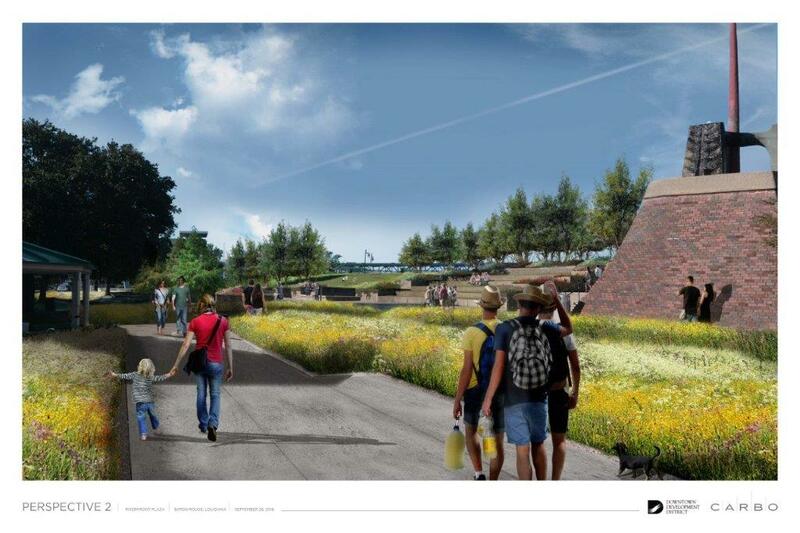 The $450,000 project, currently in the design phase, is part of the Riverfront Master Plan, which was approved by the city-parish in 2006 and has been guiding development along the downtown riverfront over the past decade. The project, which has already been approved by the state and the Metro Council, will be paid for with a one-cent sales tax rebate from the state hotel-motel tax. Jeffrey Carbo Landscape Architects is currently designing the upgrades for the plaza, which will include planting grasses and seasonal flowers around existing water fountains to create a water garden effect. The plaza will also have a levee green, where recreational users can play soccer, for instance, and the updated levee amphitheater, which many people don’t even realize exists, Rhorer says. Rhorer hopes the design phase will be completed by the end of the summer so the project can be put out to bid this fall and completed by next April. The upgrades to the Riverfront Plaza dovetails with another nearby riverfront project—the installation of shade sail structures at the end of the dock. The $280,000 project, also part of the Riverfront Master Plan, will provide much-needed shade along the iconic dock, frequented by river cruise ships. Construction on the shade sails, which were designed by Post Architects, will begin this summer and should be completed by August.